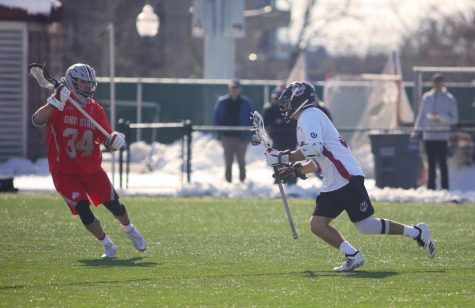 The Towson men’s lacrosse team continued its winning ways on Friday with a 12-9 victory over Marist, extending its winning streak to three games. Marist freshman J.D. 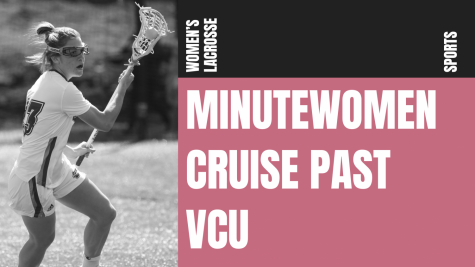 Recor struck first, scoring the game’s first goal just 11 seconds into the first quarter. 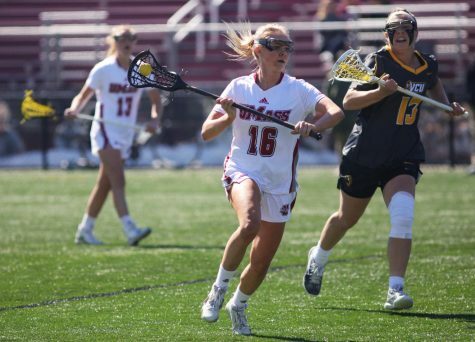 The remainder of the quarter was dominated by the Tigers, who scored the next five goals, taking a 5-1 lead into the second quarter..
After an even second quarter Towson once again took control of the game, outscoring the Red Foxes 5-1 in the third quarter, building a 12-4 lead after 45 minutes of play. 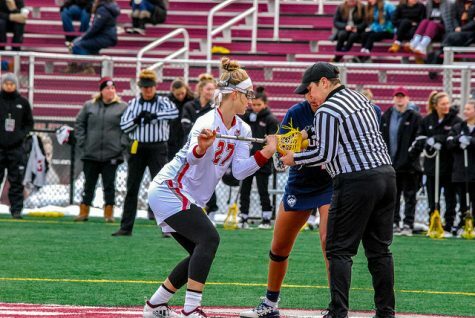 Marist ultimately fell short despite a fourth quarter comeback in which they outscored the Tigers 5-0. The Towson offense was led by freshman Joe Seider and sophmore Chris Vetter who both scored three goals. 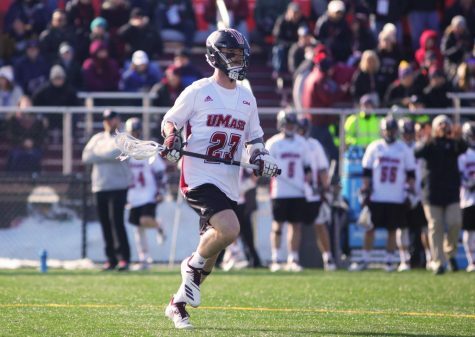 Senior Thomas DeNapoli also contributed to the offense with two goals and three assists. 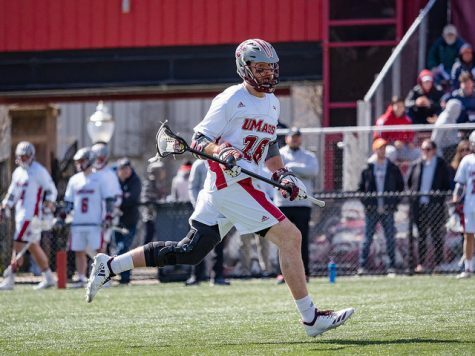 Sophmore Joseph Radin led the Red Foxes in scoring with three goals, while Drew Nesmith and Mike Begley also chipped in with two goals apiece. The Tigers will put their three-game winning streak on the line Tuesday night when they host Navy. 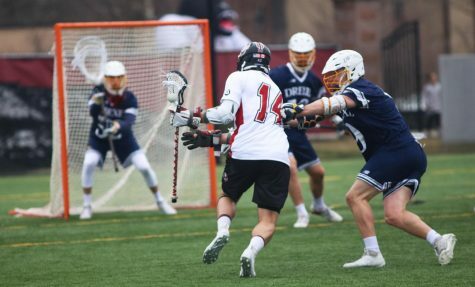 The Drexel men’s lacrosse teams dropped to 3-3 on the season after a 12-6 loss on the road against Bryant on Saturday. The game began with a competitive first half that ended with the two teams tied at 5-5. In the second half, Bryant held the Dragons to just one goal in the second half. 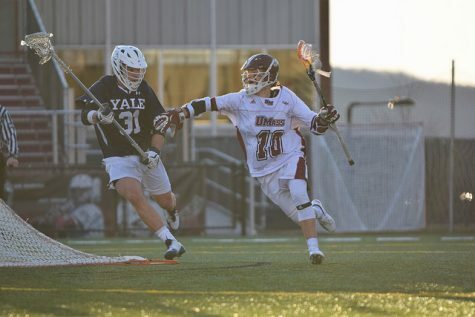 Freshman Tucker James led the Bulldogs’ attack, scoring four goals and also tallying two assists. Senior Dan Sipperly and sophmore Collins Gantz also contributed to Bryant’s strong offensive performance, each recording two goals. Bulldog goalie sophomore Gunnar Waldt also played a major role in Bryant’s victory as he successfully stifled the Dragons offense and tallied 17 saves in the win. Drexel’s offense was led by senior Ben McIntosh, who scored three goals and recorded an assist, while senior Nick Trizano also contributed with a pair of goals and an assist. The Dragons will look to go above .500 when they travel to Mount St. Mary’s, Md. for their next game on Saturday. The Delaware men’s lacrosse team defeated Binghamton in dramatic fashion on Saturday 10-9 with a last-second goal from junior Brian Kormondy. Kormandy’s goal came with just one second remaining, breaking the tie and propelling the Blue Hens to a road win. 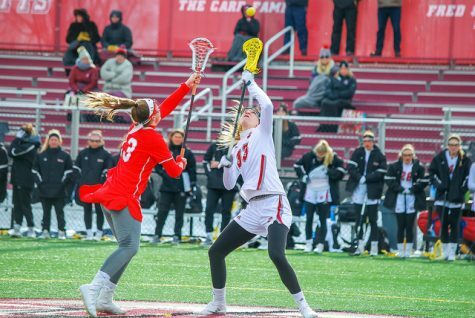 Delaware’s offense got off to a fast start scoring five goals in the first quarter, including two goals in a span of seven seconds from Chris Colaneri and Logan Aunon. Binghamton fought back to ultimately tie the game with three minutes remaining at 9-9, setting the stage for Kormandy’s late-game heroics. In addition to the game-winning goal, Kormandy also scored another goal and added an assist. Junior Jeff Heath and freshman Logan Aunon also tallied two goals each for the Blue Hens. 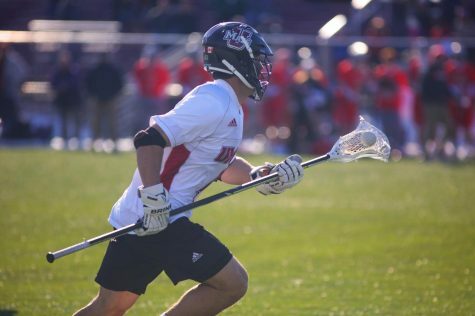 Redshirt senior Matt Springer shined offensively for the Bearcats, scoring two goals and tallying two assists. Senior Michael Antinozzi provided a spark for them as well on offense as he scored two goals and added two assists. Delaware will return to the road for its next game, traveling to Hofstra on Saturday for the team’s first conference game of the season.